Kuala Lumpur: Hindus devotees thronged Batu Caves in a colourful fusion of faith, thanksgiving, and hope to mark the Thai Pusam festival yesterday. 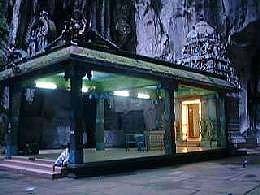 An estimated one million devotees jostled with visitors, including awestruck foreign tourists, to pay homage to Lord Muruga on their way to the cave temple from as early as Saturday night. 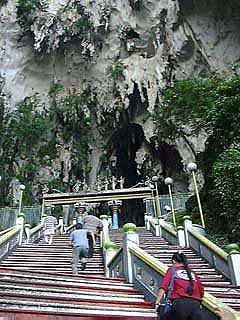 More than 4,500 devotees carried a variety of kavadis up the 272 steps to the shrine at the caves, regarded as the premier Hindu pilgrimage site in Malaysia. Among those who carried kavadis as fulfilment of vows for wishes granted were Paari Vellu, 33, son of Works Minister Datuk Seri S. Samy Vellu. Chants of Vel! Vel! and the rhythm of drums lent an air of festivity as the sea of people continually trudged up the stairs along with kavadi bearers from as early as 3 am. Many of the women devotees carried paal kudam (milk pots), while couples who had their wish for offspring carried their babes in saffron cradles -- hanging precariously from sugar cane stems being supported on their shoulders. 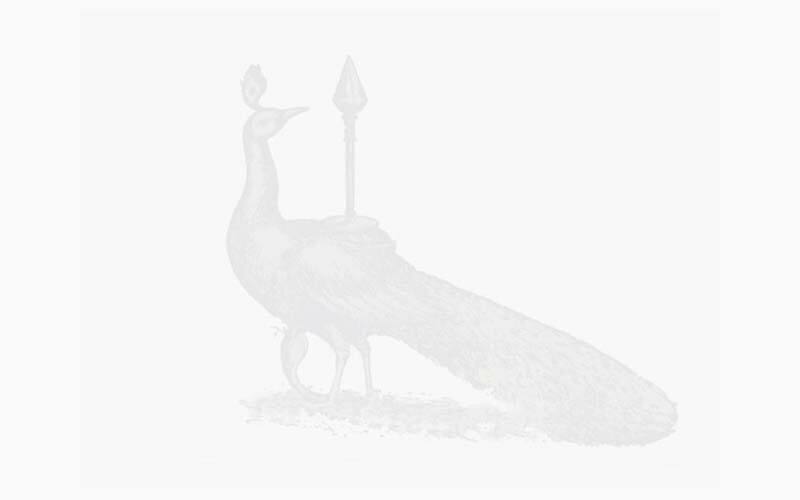 The bearers of the huge vel kavadis, decorated with peacock feathers, garlands and pictures of deities, and those who pierced their tongues and cheeks with long skewers, hooks, and mini paal kudam were an object of attraction. Speaking to the crowd at about 10am, Samy Vellu, who is also MIC president, said the party was holding talks with several state governments to declare Thaipusam a public holiday -- starting with Malacca and Kedah. Presently, only Penang, Perak, Selangor, and Johor have declared Thaipusam a public holiday. Samy Vellu, who spent about 10 hours on Saturday and yesterday urging the public to contribute towards the Batu Caves Primary School, raised more than RM 50,000 from the public. In Penang, thousands celebrated Thaipusam with religious fervour amidst an air of festivity at the Nattukottai Chettiar Temple and the Arulmigu Balathandayuthapani hilltop temple. Devotees of Lord Muruga, including non-Hindus, walked barefooted for several kilometres to the two temples to pray to the deity. The faithful -- who carried paal kudam (milk pots) and kavadi bearers -- walked and danced up the steep steps to the hilltop temple. In the meantime, their friends and relatives provided spiritual support by chanting Vel! Vel! and singing devotional songs. Foreign tourists, awed by the scenes, recorded the sights on their cameras and videocameras. The celebrations here attracted devotees from the northern region and tourists from as far as the United States. Chief Minister Tan Śrī Dr Koh Tsu Koon and newly appointed Penang Municipal Council president Dr Teng Hock Nan joined in the festivities in the morning and met devotees and temple representatives. In Johor Baru, some 20,000 Hindu devotees bearing kavadis walked 20km to various temples here. Chairman of the Śrī Dandayuthapani Temple, Dr N.G. Basakaran, said this year's procession was the largest in history and it had also attracted Singaporeans and other foreign tourists. 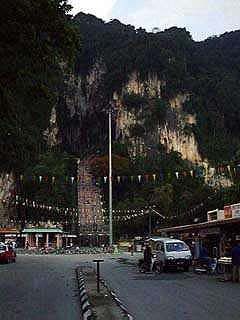 In Ipoh, more than 100,000 devotees and spectators gathered to watch devotees carrying kavadis at the Śrī Subramaniar Temple in Gunung Cheroh here yesterday. Groups of spectators were also eagerly waiting along the road from Sri Mariamar Temple in Buntong to the Śrī Subramaniar Temple here to watch the kavadi carriers. In the late afternoon, a chariot carrying the statue of Lord Muruga made its way to the city as thousands of devotees lined up to offer prayers. Story courtesy of The Star Online: http://www.jaring.my/star/ © Star Publications (Malaysia) Bhd.